Kim Van Orden, PhD is a clinical geropsychologist and Associate Professor in the Department of Psychiatry at the University of Rochester School of Medicine and an Associate Director of an NIMH-funded research fellowship in suicide prevention and an investigator at the Center for Excellence in Suicide Prevention at the Canandaigua VA Medical Center. 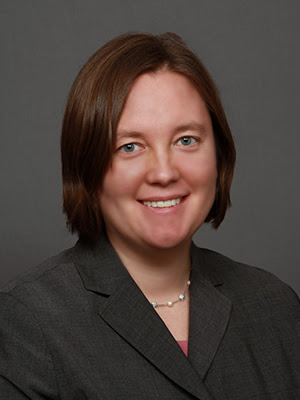 Her current and recent research projects examine behavioral interventions to reduce suicide risk in later life via the mechanism of increasing social engagement and connectedness. Much of her work is conducted through community partnerships with her local Area Agency on Aging. Her work is also grounded in a psychological theory of suicide, The Interpersonal Theory of Suicide, which she helped develop, refine, and test. Her research is funded by the National Institute of Mental Health, the National Institute on Aging, and the Centers for Disease Control and Prevention. Kim also mentors students and postdoctoral fellows and maintains an active clinical practice providing evidence-based psychotherapy to older adults. She is passionate about preventing suicide by promoting social engagement and improving quality of life. Dr. Van Orden received her MS and Doctorate in Clinical Psychology from Florida State University, and completed her residency in psychology at the University of Rochester School of Medicine & Dentistry.